27.10.2012 – Actually, as the accused player, German GM Falko Bindrich, points out: not for proven use but for refusing to allow the arbiter to examine the phone he had with him during multiple toilet visits during last weekend's Bundesliga round. The rules permit the arbiter to check in case of justified suspicion, and so Bindrich was disqualified and the point awarded to his opponent. Long, compelling read. 1. c4 e5 2. Nc3 Nf6 3. Nf3 Nc6 4. a3 e4 5. Ng5 Qe7 6. e3 h6 7. Nh3 g5 8. Qc2 Bg7 9. Ng1 0-0 10. Nge2 1-0. During a running game the players may not have access to mobile phones, computers or other electronic devices, without the expressed approval of the arbiter. If there is reasonable suspicion that such devices are being used, upon the request of the arbiter the players are obliged to swich on the devices for inspection. Furthermore in case of reasonable suspicion that such devices are being used the players are obliged to permit the arbiter to examine their clothes, bags or other items of luggage. If a player does not honour these obligations, the arbiter may take measures prescribed by section 8.1 of the tournament rules. Section 8.1 specifies which measures the arbiter may implement: admonition, warning, censure, time penalty, cancellation of the result and ordering the game to be replayed, evaluating the game as a loss for the offending player, excluding him from the current round, ordering him to leave the playing hall, or the auditorium. Multiple penalties may be imposed. 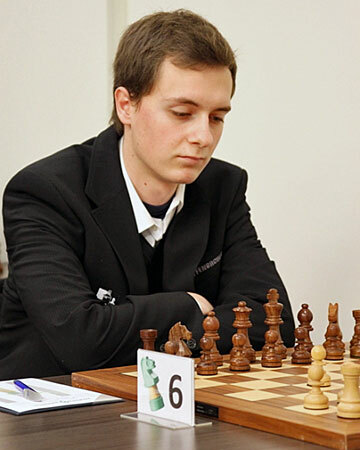 We should mention that in June, during the German Championship, FM Christoph Natsidis was caught using a smartphone in the toilet during his final-round game against Sebastian Siebrecht (who seems to attract opponents with cheating devices). The arbiter had found a chess program running on the phone, and indeed the program was showing a position just before the end of the game against Siebrecht when the arbiter examined it. Natsidis admitted to the deed and was expelled from the tournament. " I apologise," he said, "it was completely stupid of me to do this." Indeed it was, since he had completed an IM norm before the start of the final round (though, one must assume, probably not without some electronic assistance). Natsidis has been banned from tournament play by the German Chess Federation for a period of two years. During the board seven game Bindrich-Tregubov I was approached by the latter, accompanied by GM Daniel Fridman and IM Daniel Hausrath (of the host club Mühlheim). Tregubov pointed out that his opponent had been absent for quite some time and could not be found. I walked towards the toilets and encountered Falko Bindrich returning to the board. I promised to keep an eye on Bindrich and take active measures if there were frequent protracted toilet visits. He went to the toilet two more times, at 24:30 and 15:30 p.m., and used the flush while he was in the cabin. I decided against any immediate action. On Sunday, at 10:00 a.m. Falko Bindrich was playing on board seven against Sebastian Siebrecht. Shortly after the start of the game I saw that Falko Bindrich disappear into the toilet for the first time. I became suspicious. Shortly after 10:30 a.m. he was gone again, and fifteen minutes again. That was too much for me and I followed him to the toilet. Sebastian Siebrecht, too, had noticed something odd about the behavior of Falko Bindrich. He caught up with me just before we reached the toilet, and we had a brief conversation, during which I told him that I intend to carry out a pocket check. I asked Sebastian Siebrecht leave the space in front of the toilet, so I could confront Falko Bindrich alone. When Falko Bindrich came out of the toilet I confronted him with the suspicion of deception. I told him that according to the rules I had the right to check his pockets and asked him to show me their contents. He was indignant and refused. He said that his cell phone was in his trouser pocket. I asked him to hand over the phone for me examine. This he refused, saying: "Am I crazy?" I confronted Falko Bindrich in the refreshment room again with the suspicions and read to him section 5.3.4 of the Bundesliga rules. 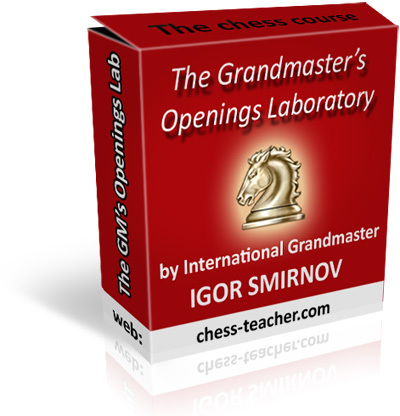 He said he had a mobile phone with a chess program on it, but that this contained old games, including the one from the previous day, with his analyses. I informed him that his refusal to show me his mobile phone would lead to an immediate loss of the current game, since I would be forced to assume that he had been using the phone for illegal purposes. I suggest to him that if the current game was not stored on the device he could continue playing, if he handed the phone over to his team captain. But Falko Bindrich continued to categorically refuse. His captain Hans Dekan also tried to convince him, but he refused to hand over the phone. 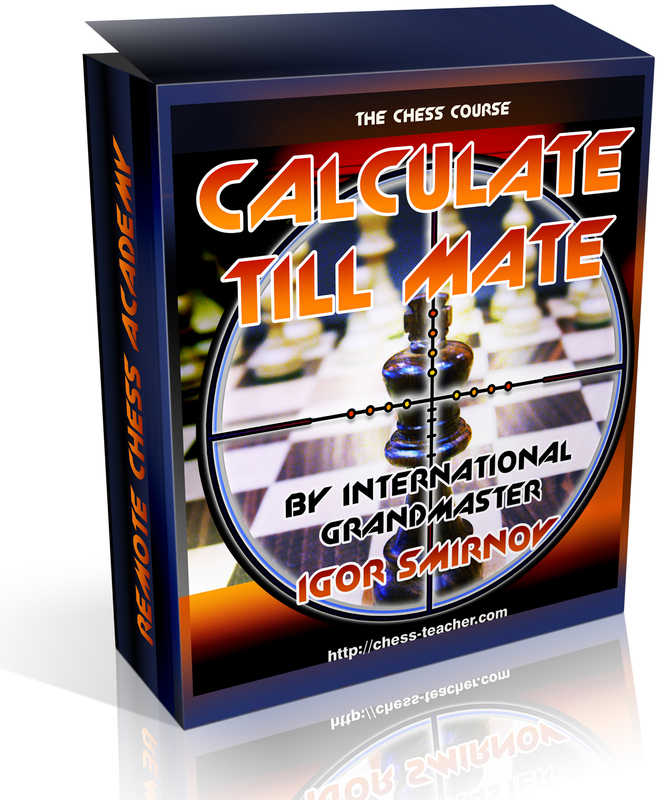 I had no other choice but to terminate the game and award the point to Sebastian Siebrecht. I consider the refusal to hand over the mobile phone clear proof that it had been used illegally, and in addition the refusal was against the rules of the event. I would like to mention that the team captain of Eppingen accepted this decision without discussion and later apologised to Sebastian Siebrecht and the team captain of Katernberg for the behaviour of his player. Mr. Bindrich could have contributed to the clarification of the circumstances, but regrettably did not do so, and with that apparently corroborated the suspicions of fraud raised by Mülheimer players during the previous round. 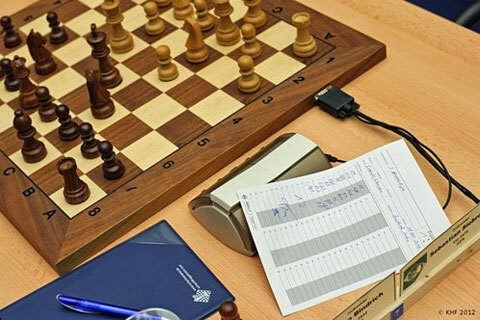 The points made by Mr. Bindrich, especially regarding invasion of privacy, are not understandable, since is was only necessary to check whether his mobile phone was switched on and whether there was an engine running with a connection to a chess database. 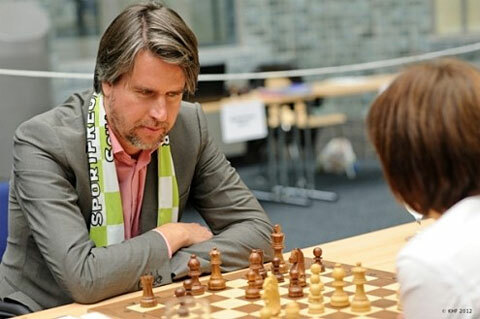 Ultimately, Mr. Bindrich has caused a great deal of damage not only to himself but also to his club, the Chess Bundesliga and chess as a sport. I must mention that at the time of the incident I had a feeling that the young GM was not fully aware of the consequences of his actions. We cannot end this lengthy report without excepts from an even lengthier statement by Falko Bindrich. Again it is in German, but can be read in the full by non-German speakers using the Google Translate service. 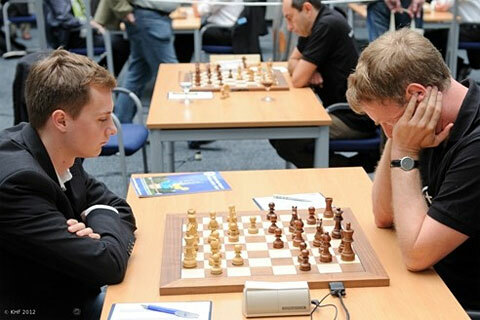 On Saturday against Mülheim I faced Russian grandmaster Tregubov (2601). Against the former European champion I had prepared with three other players of Mülheim. The game went as planned. Three weeks earlier, in the top Swiss league, I had had exactly the same variation against GM Istratescu (2650) on the board. Unfortunately at the time I confused the correct sequence of moves and was held to a draw. In subsequent analysis of that game I remembered Jobava-Kunin from the First Austrian Bundesliga, at which I was present and in which White won with surprising ease. So I repeated this game exactly, up to about move 20, including the exchange sacrifice bxa5, which I had already analyzed at home. 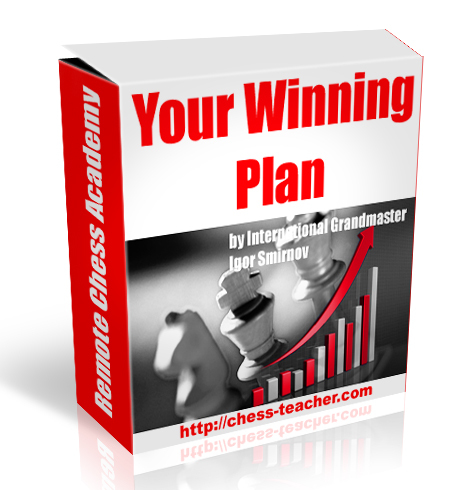 After gaining an advantage I did not play optimally, something that every chess player will see by replaying the game. Nevertheless I got a good position after the time trouble won the game. Afterwards Pavel Tregubov hesitated to shake hand looked very offended. On Sunday I played Sebastian Siebrecht. After one hour I visited the toilet for the second time (it was Sunday morning, and I think it is normal to go to the toilet after breakfast?!). The claim that I got up while I was on the move to go to the toilet is simply wrong. During my more than 15-year chess career I have never done this. If my opponent makes a move while I am in the toilet, it would logically be my move. This happens in every game of chess, except when players stay at the board all the time. Also, I was certainly not the only player who on Saturday, during a period of six hours, visited the toilet four times, and on Sunday twice within an hour of play. I got up three times during the game: the first time shortly after the beginning of the game to go to the toilet, the second time to get myself something to drink, and the third time after move nine. Why was I picked out for inspection, was I the leading toilet-goer? I want to clarify once again that I was not disqualified by the referee because of cell phone fraud, but because of my refusal to allow him to inspect my cell phone. The reasons for this are complex. First and foremost, I see it as a direct invasion of my privacy. I can allow anyone. really anyone, access to my mobile phone. On it I have, apart from my private data (very private pictures and messages) also sensitive business data. I need to protect this. Releasing the data would cost me my job and important relationships. I could not risk this. 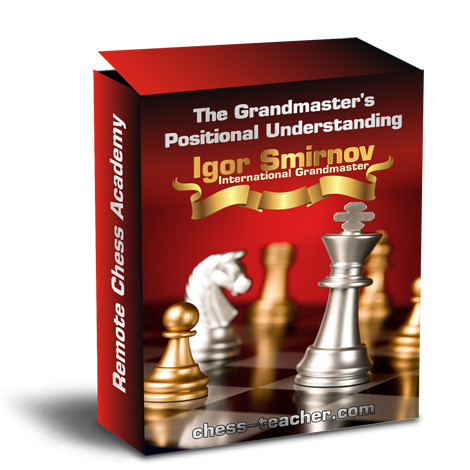 It is true that I have, as many other chess players too, a chess app stored on my phone, including a post game analysis of my game against Tregubov, which I conducted on Saturday night after the game in the hotel room. To my knowledge one must carry a cell phone, provided it is switched off, which in this case it always was. Incidentally, from a human perspective, how far have we come? Stalking and spying, eavesdropping on the toilet. The referee listened for my bowel movement, and Sebastian Siebrecht even lay down on the toilet floor. Who wants to be in a competition run in this fashion or play against an opponent with such an attitude? We must ask ourselves, where does it begin, where does it stop? First we search the pockets, jackets, luggage. Referees listen to players while they are defecating, players lie down on the toilet floor. What's next? Strip searches? 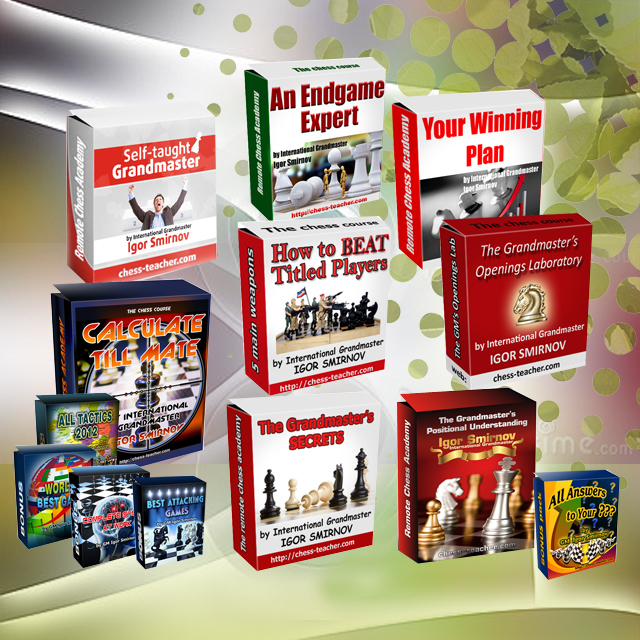 Luckily, human and civil rights accompany us during most of our lives, but in chess we should abandon them? This new rule will provide arbiters with a chance to investigate and harass any random player and declare any two-time toilet visit as "reasonable suspicion" for such actions! 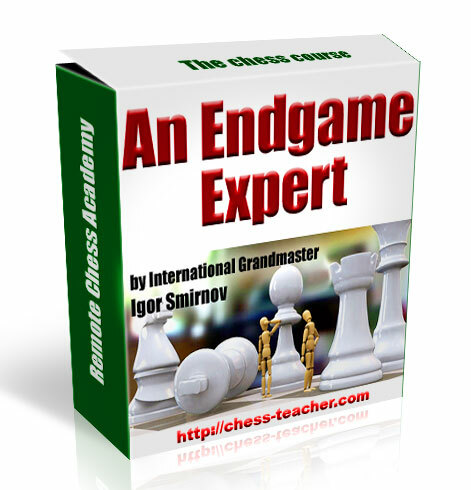 Bindrich win against Tregubov has been annotated by our endgame expert Dr Karsten Müller, as part of his column in ChessBase Magazine. 27.10.2012 - En realidad, como el jugador acusado, el GM alemán Falko Bindrich, señala: no para uso probado pero por negarse a permitir que el árbitro para examinar el teléfono que había tenido con él durante varias visitas al baño durante todo el fin de semana pasado en la Bundesliga. Las reglas permiten el árbitro para comprobar en caso de sospecha fundada, y así Bindrich fue descalificado y el punto otorgado a su oponente. Lectura larga y convincente. 1. c4 e5 2. Cc3 Cf6 3. Cf3 Cc6 4. a3 e4 5. Cg5 De7 6. e3 h6 7. Nh3 g5 8. Qc2 Ag7 9. NG1 0-0 10. 1-0 Nge2. Durante un ataque terrestre que los jugadores no pueden tener acceso a los teléfonos móviles, ordenadores u otros dispositivos electrónicos, sin la autorización expresa del árbitro. Si hay sospecha razonable de que tales dispositivos están siendo utilizados, a solicitud del árbitro los jugadores están obligados a swich en los dispositivos de inspección. Además, en caso de sospecha razonable de que tales dispositivos están siendo utilizados los jugadores están obligados a permitir el árbitro para examinar su ropa, bolsos y otros artículos de equipaje. Si un jugador no cumple con estas obligaciones, el árbitro podrá adoptar las medidas previstas por el artículo 8.1 de las reglas del torneo. Sección 8.1 especifica que mide el árbitro puede implementar: amonestación, advertencia, censura, multa momento, la anulación de los resultados y ordenar el juego para que se reproduzca, evaluando el juego como una pérdida para el jugador infractor, excluido de la actual ronda, ordenando que deje la sala de juego, o el auditorio. Múltiples sanciones que puedan imponerse. Cabe mencionar que en junio, durante el campeonato alemán, Christoph FM Natsidis fue capturado con un teléfono inteligente en el baño durante su última ronda de juego en contra de Sebastián Siebrecht (que parece que atrae a los oponentes con los dispositivos de engaño). El árbitro había encontrado un programa de ajedrez que se ejecuta en el teléfono, y de hecho el programa se muestra una posición justo antes del final del partido contra Siebrecht cuando el árbitro lo examinó. Natsidis admitido en el acto y fue expulsado del torneo. "Lo siento," dijo, "era completamente estúpido de mi parte hacer esto." De hecho lo era, ya que había completado una norma de MI antes del inicio de la ronda final (aunque, hay que suponer, probablemente no sin un poco de ayuda electrónica). Natsidis ha sido prohibido en los torneos de la Federación Alemana de Ajedrez por un período de dos años. Durante la junta de siete juegos Bindrich-Tregubov se me acercó este último, acompañado por el GM Daniel Fridman y IM Daniel Hausrath (del club anfitrión Mühlheim). Tregubov señaló que su oponente había estado ausente por mucho tiempo y no se pudo encontrar. Caminé hacia los baños y se encontró con Falko Bindrich volver a la pizarra. Le prometí a mantener un ojo en Bindrich y tomar medidas activas si hubo frecuentes visitas al baño prolongado. Se fue al baño dos veces más, a 24:30 pm y las 15:30, y se utiliza el color mientras se encontraba en la cabina. Me decidí en contra de cualquier acción inmediata. El domingo, a las 10:00 am Falko Bindrich jugaba a bordo de siete contra Sebastián Siebrecht. Poco después del inicio del juego vi que Falko Bindrich desaparecer en el inodoro por primera vez. Empecé a sospechar. Poco después de las 10:30 am se fue de nuevo, y quince minutos más. Eso fue demasiado para mí y yo lo seguí al baño. Sebastián Siebrecht también había notado algo extraño en el comportamiento de Falko Bindrich. Él me alcanzó justo antes de llegar al baño, y tuvimos una breve conversación, durante la cual le dije que tengo la intención de llevar a cabo una verificación de bolsillo. Le pregunté a Sebastián Siebrecht dejar el espacio en frente del inodoro, para poder hacer frente a Falko Bindrich solo. Cuando Falko Bindrich salió del baño me enfrenté a él con la sospecha del engaño. Le dije que de acuerdo a las reglas que yo tenía el derecho de revisar los bolsillos y le pedí que me mostrara su contenido. Él se indignó y se negaba. Dijo que su teléfono celular en el bolsillo del pantalón. Le pregunté a entregar el teléfono para examinarme. Este se negó, diciendo: "¿Estoy loco" Me enfrenté Falko Bindrich en la cantina de nuevo con las sospechas y le leía la sección 5.3.4 de las normas de la Bundesliga. Dijo que tenía un teléfono móvil con un programa de ajedrez en él, pero que estos juegos antiguos contenidos, incluyendo la del día anterior, con sus análisis. Le informé que su negativa a mostrarme su teléfono móvil llevaría a una pérdida inmediata de la partida actual, ya que se vería obligado a asumir que él había estado usando el teléfono para fines ilegales. Le sugiero que si el juego actual no se almacenan en el dispositivo que podía seguir jugando, si le pasó el teléfono a su capitán de equipo. Pero Falko Bindrich siguió negándose categóricamente. Su capitán Hans Dekan también trató de convencerlo, pero él se negó a entregar el teléfono. No tuve más remedio que terminar el juego y el premio a punto Sebastián Siebrecht. Considero que la negativa a entregar el comprobante teléfono móvil claro que había sido utilizado ilegalmente, y además de la negativa estaba en contra de las reglas del evento. Me gustaría mencionar que el capitán del equipo de Eppingen aceptado esta decisión sin debate y más tarde se disculpó con Sebastián Siebrecht y el capitán del equipo de Katernberg por el comportamiento de su jugador. Sr. Bindrich podría haber contribuido al esclarecimiento de las circunstancias, pero lamentablemente no lo hizo, y con eso al parecer corroboró las sospechas de fraude planteadas por los jugadores Mülheimer durante la ronda anterior. Las observaciones hechas por el Sr. Bindrich, especialmente con respecto a la invasión de la privacidad, no son comprensibles, ya que está sólo era necesario para comprobar si su teléfono móvil se conecta y si existía un motor con una conexión a una base de datos de ajedrez. En última instancia, el Sr. Bindrich ha causado un gran daño no sólo a él sino también a su club, el ajedrez y el ajedrez Bundesliga como un deporte. Tengo que mencionar que en el momento de los hechos tenía la sensación de que el joven GM no era plenamente consciente de las consecuencias de sus acciones. No podemos terminar este largo informe sin exceptúa de una declaración aún más largo por Falko Bindrich. Una vez más, está en alemán, pero se puede leer en su totalidad por la que no hablan alemán utilizando el servicio de Google Translate. El sábado me enfrenté contra Mülheim gran maestro ruso Tregubov (2601). Contra el ex campeón europeo que había preparado con otros tres jugadores de Mülheim. El juego salió como estaba planeado. Tres semanas antes, en la liga suiza superior, había tenido exactamente la misma variación contra el GM Istratescu (2650) en el tablero. Por desgracia, en el momento en que confundió la secuencia correcta de los movimientos y se llevó a cabo a un empate. En el análisis posterior de ese juego me acordé Jobava-Kunin de la Primera Bundesliga austriaca, en la que yo estaba presente y en el que las blancas ganaron con una facilidad sorprendente. Así que repetí este juego exactamente, hasta mover alrededor de 20, incluyendo el intercambio bxa5 sacrificio, que yo ya había analizado en su casa. Después de ganar una ventaja que no jugó de manera óptima, algo que todo jugador de ajedrez se ve jugando de nuevo el juego. Sin embargo tengo una buena posición después de los apuros de tiempo ganado la partida. Después Pavel Tregubov dudado en darle la mano parecía muy ofendido. El domingo jugué Sebastián Siebrecht. Después de una hora visité el baño por segunda vez (era domingo por la mañana, y creo que es normal para ir al baño, después del desayuno?). La afirmación de que me levanté mientras estaba en movimiento para ir al baño es simplemente errónea. Durante mi carrera ajedrecística más de 15 años, nunca he hecho esto. Si mi oponente hace un movimiento mientras estoy en el baño, lo lógico sería mi movimiento. Esto sucede en todos los juegos de ajedrez, excepto cuando los jugadores permanecer en el tablero todo el tiempo. Además, yo no era el único jugador que el sábado, durante un período de seis horas, visitó el baño cuatro veces, y dos veces el domingo en una hora de juego. Me levanté tres veces durante el juego: la primera vez poco después del comienzo del juego para ir al baño, la segunda vez que me meta yo algo de beber, y la tercera vez tras jugada nueve. ¿Por qué fui elegido para la inspección, que era el líder toilet-goer? Quiero aclarar una vez más que no fue descalificado por el árbitro debido a un fraude de teléfono celular, pero debido a mi negativa a permitirle inspeccionar mi teléfono celular. Las razones para esto son complejas. En primer lugar, yo lo veo como una invasión directa de mi vida privada. Puedo permitir que nadie. realmente a nadie, el acceso a mi teléfono móvil. Por lo que tengo, aparte de mis datos personales (fotos muy privadas y mensajes) también datos confidenciales de la empresa. Tengo que proteger esto. La liberación de los datos que me costaría mi trabajo y relaciones importantes. No podía arriesgarme a esto. Es cierto que tengo, como muchos otros jugadores de ajedrez también, una aplicación de ajedrez almacenada en mi teléfono, incluyendo un análisis del juego después de mi partida contra Tregubov, que llevé a cabo la noche del sábado después del partido en la habitación del hotel. Que yo sepa, hay que llevar un teléfono celular, siempre y cuando se apaga, que en este caso siempre lo fue. Por cierto, desde una perspectiva humana, hasta dónde hemos llegado? Acoso y espionaje, escuchas ilegales en el inodoro. El árbitro escuchó mi deposición, y Sebastian Siebrecht incluso se acostó en el piso del inodoro. ¿Quién quiere estar en una competencia organizada de esta manera o jugar contra un oponente con tal actitud? Debemos preguntarnos, ¿de dónde empezar, ¿de dónde parar? En primer lugar, buscar en los bolsillos, chaquetas, maletas. Árbitros escuchar a los jugadores mientras están defecando, los jugadores se acueste en el suelo inodoro. ¿Qué será lo próximo? Pelar las búsquedas? Por suerte, los derechos humanos y civiles nos acompañará durante la mayor parte de nuestras vidas, pero en el ajedrez hay que abandonarlos? Esta nueva norma proporcionará a los árbitros con la oportunidad de investigar y hostigar a cualquier jugador al azar y declarar cualquier visita inodoro dos veces como "sospecha razonable" para este tipo de acciones! 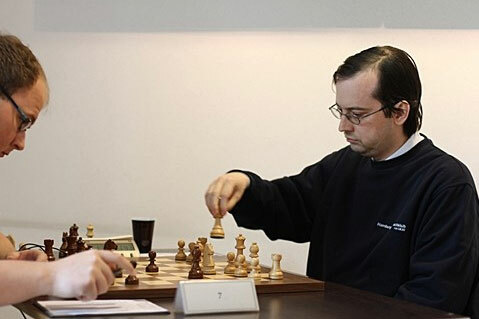 Bindrich victoria ante Tregubov ha sido comentada por nuestro endgame experto Dr. Karsten Müller, como parte de su columna en ChessBase Magazine. 1. C5 2.c4 f3   c6 3.  c3 e5 4.g3 g6 5.   g2 g7 6.a3  GE7 7.0-0 0-0 8.d3 d6 9.  b1 a5 10.  d2 h6 11.   e1 e6 12.  c2 d5 13.cxd5  xd5 14.   de7 e3 15.  a4 b6 16.b4 b5 17.axb4 cxb4 18. c5   a2 19.bxa5  XB1 20.  XB1  a7 21.  xb5  d4 22.  b6  c8 23.  xd8  XE2 + 24.  h1  xd8 25.  c4  d4 26.  b1  f8 27.  b7  e8 28.  e3 f6 29 . f4 a6  30.fxe5 fxe5 31. d5 +   h7 32.g4  c2 33.  d2  e7 34. e4   g8 35. b6    XB6 36.axb6 b4 37.   Ad6 b8 38.   xb4 xb4 39.b7 f6 40.    XE5 XE4 41.dxe4  d8 42.  EC4   g7 43.e5 c6 44.   g2 f8 45.   f3 e7 46.  e4 e6 47  .   d1 b5 desgracia una sombra se proyecta sobre este juego, con Falko Bindrich acusado de hacer trampa usando un teléfono inteligente en la fase de apertura. La protesta ha sido presentada por Mühlheim. Sin embargo, la combinación Bindrich en los finales es ciertamente digno de nuestra atención: 48 a5 .!  e1 + 49.   d3 b8 50.  c6! El verdadero punto de combinación de White. Tregubov ahora debe devolver el cambio con el fin de detener Bindrich del peón b. 50.  d4 +?  d7! sería estropearlo. साबित इस्तेमाल के लिए नहीं लेकिन मध्यस्थ फोन वह पिछले सप्ताहांत Bundesliga दौर के दौरान कई शौचालय का दौरा करने के दौरान उसके साथ था की जांच करने के लिए अनुमति देने से इनकार करने के लिए: - 2012/10/27 दरअसल, आरोपी खिलाड़ी के रूप में, जर्मन जीएम Falko बिन्द्रिच, बताते हैं. नियमों उचित संदेह के मामले में जांच करने के लिए मध्यस्थ की अनुमति है, और इसलिए बिन्द्रिच अयोग्य ठहराया गया था और बिंदु अपने प्रतिद्वंद्वी को सम्मानित किया. लांग, सम्मोहक पढ़ें. 1. c4 e5 2. Nc3 3 Nf6. NF3 4 Nc6. a3 e4 5. Qe7 Ng5 6. e3 h6 7. NH3 g5 8. Qc2 9 Bg7. Ng1 0-0 10. Nge2 1-0. एक चल रहे खेल के दौरान खिलाड़ियों को मध्यस्थ की व्यक्त की स्वीकृति के बिना मोबाइल फोन, कंप्यूटर या अन्य इलेक्ट्रॉनिक उपकरणों के लिए पहुँच नहीं है, हो सकता है. अगर वहाँ उचित संदेह है कि इस तरह के उपकरणों का इस्तेमाल किया जा रहा है, खिलाड़ियों के लिए मध्यस्थ के अनुरोध पर निरीक्षण के लिए उपकरणों पर swich करने के लिए बाध्य कर रहे हैं. उचित संदेह है कि इस तरह के उपकरणों का इस्तेमाल किया जा रहा है के मामले में इसके अलावा खिलाड़ियों के लिए मध्यस्थ उनके कपड़े, बैग या सामान की अन्य मदों की जांच करने के लिए अनुमति देने के लिए बाध्य कर रहे हैं. यदि एक खिलाड़ी का सम्मान इन दायित्वों को नहीं है, मध्यस्थ टूर्नामेंट के नियम की धारा 8.1 के द्वारा निर्धारित उपायों लग सकता है. धारा 8.1 निर्दिष्ट करता है जिसके मध्यस्थ उपायों को लागू कर सकते हैं: चेतावनी, चेतावनी, निंदा, समय जुर्माना, परिणाम के रद्द करने और खेल आदेश देने के लिए दोहराई जा हमलावर खिलाड़ी के लिए एक नुकसान के रूप में खेल का मूल्यांकन, वर्तमान दौर से उसे छोड़कर, आदेश उसे खेल हॉल, या सभागार छोड़ने के लिए. एकाधिक दंड लगाया जा सकता है. हम जून में उल्लेख है कि, जर्मन चैम्पियनशिप के के दौरान, एफएम Christoph Natsidis शौचालय में सेबस्टियन Siebrecht (जो धोखा दे उपकरणों के साथ विरोधियों को आकर्षित करने के लिए लगता है) के खिलाफ अपने अंतिम दौर के खेल के दौरान एक smartphone का उपयोग करते हुए पकड़ा गया था. मध्यस्थ को एक शतरंज फोन पर चल रहे कार्यक्रम में पाया गया था, और वास्तव में कार्यक्रम Siebrecht जब यह मध्यस्थ की जांच के खिलाफ खेल के अंत से पहले सिर्फ एक स्थिति दिखा रहा था. Natsidis विलेख भर्ती कराया और टूर्नामेंट से निष्कासित कर दिया गया था. उन्होंने कहा, "मैं, माफी" "यह पूरी तरह से मेरे मूर्ख यह करने के लिए किया गया था." वास्तव में यह किया गया था, क्योंकि वह अंतिम दौर (हालांकि, एक, कुछ इलेक्ट्रॉनिक सहायता के बिना शायद नहीं मान लेना चाहिए) के शुरू होने से पहले एक IM आदर्श पूरा किया था. Natsidis दो वर्ष की अवधि के लिए जर्मन शतरंज महासंघ द्वारा टूर्नामेंट में खेलने से प्रतिबंधित कर दिया गया है. बोर्ड सात खेल बिन्द्रिच Tregubov के दौरान मैं उत्तरार्द्ध, जीएम डैनियल Fridman और आईएम डैनियल Hausrath (मेजबान क्लब Mühlheim) के साथ संपर्क किया था. Tregubov ने बताया कि कुछ समय के लिए अपने प्रतिद्वंद्वी अनुपस्थित किया गया था और पाया नहीं जा सका. मैं शौचालय की ओर चला गया और Falko बिन्द्रिच बोर्ड को लौटने का सामना करना पड़ा. मैं बिन्द्रिच पर नजर रखने और सक्रिय कदम उठाने अगर वहाँ लगातार लंबी शौचालय यात्राओं का वादा किया. वह शौचालय और दो बार चला गया, 24:30 और 15:30 बजे, और फ्लश इस्तेमाल किया, जबकि वह केबिन में था. मैं किसी भी तत्काल कार्रवाई के खिलाफ फैसला किया. रविवार को 10:00 पर हूँ Falko बिन्द्रिच बोर्ड पर सात सेबस्टियन Siebrecht के खिलाफ खेल रहा था. मैं खेल की शुरुआत के फौरन बाद देखा कि फ़ाल्को बिन्द्रिच पहली बार के लिए शौचालय में गायब है. मुझे शक हो गया. 10:30 के फौरन बाद वह फिर से चला गया था, और फिर से पंद्रह मिनट के. यह मेरे लिए बहुत ज्यादा था और मैं उसे शौचालय के लिए पीछा किया. भी, सेबस्टियन Siebrecht, Falko बिन्द्रिच के व्यवहार के बारे में कुछ अजीब देखा था. वह मेरे साथ पकड़ा बस से पहले हम शौचालय पर पहुंच गया, और हम एक संक्षिप्त बातचीत की थी, जिसके दौरान मैंने उससे कहा कि मैं एक जेब की जांच करने के लिए बाहर ले जाने के लिए करना चाहते हैं. मैंने पूछा सेबस्टियन Siebrecht शौचालय के सामने जगह छोड़ दें, तो मैं Falko बिन्द्रिच अकेले का सामना कर सके. जब Falko बिन्द्रिच शौचालय से बाहर आया था मैं उसे धोखे के संदेह के साथ सामना किया. मैंने उससे कहा कि नियमों के अनुसार मैं अपनी जेब की जांच करने का अधिकार था और उससे कहा कि मुझे उनकी सामग्री को दिखाने के. वह क्रोधित था और मना कर दिया. उन्होंने कहा कि अपने सेल फोन अपनी पतलून की जेब में था. मैंने उससे कहा कि मुझे जांच करने के लिए फोन पर हाथ. उसने मना कर दिया, कह रही: "मैं पागल हो रहा हूँ?" मैं Falko बिन्द्रिच जलपानगृह में फिर से शक के साथ और का सामना उसे करने के लिए पढ़ने के खंड 5.3.4 Bundesliga नियम. उन्होंने कहा कि वह उस पर एक शतरंज कार्यक्रम के साथ एक मोबाइल फोन था, लेकिन वह इस निहित पिछले दिन से अपने विश्लेषण के साथ, एक सहित पुराने खेल. मैंने उसे बताया कि उसके लिए मुझे अपने मोबाइल फोन को दिखाने से इनकार मौजूदा खेल का एक तत्काल नुकसान के लिए सीसा, के बाद से मुझे लगता है कि वह अवैध प्रयोजनों के लिए किया गया था फोन का उपयोग करने के लिए मजबूर किया जाएगा. मैं उसे करने के लिए सुझाव है कि अगर मौजूदा खेल डिवाइस पर संग्रहीत किया गया है तो वह खेलना जारी रखते हैं, अगर वह अपने टीम के कप्तान के लिए फोन पर सौंप दिया है. लेकिन फ़ाल्को बिन्द्रिच स्पष्ट मना कर दिया. उनके कप्तान हंस Dekan भी उसे समझाने की कोशिश की, लेकिन वह फोन पर हाथ से इनकार कर दिया. मैं कोई अन्य विकल्प नहीं था, लेकिन खेल और सेबस्टियन Siebrecht बिंदु पुरस्कार समाप्त. मैं मोबाइल फोन स्पष्ट सबूत है कि यह अवैध रूप से इस्तेमाल किया गया था पर हाथ करने के लिए इनकार विचार करना है, और इसके अलावा में इनकार घटना के नियमों के खिलाफ था. मैं उल्लेख है कि Eppingen की टीम के कप्तान चर्चा के बिना इस निर्णय को स्वीकार किया और बाद में सेबस्टियन Siebrecht और Katernberg के अपने खिलाड़ी के व्यवहार के लिए टीम के कप्तान के लिए माफी मांगी करना चाहते हैं. श्री बिन्द्रिच परिस्थितियों के स्पष्टीकरण के लिए योगदान हो सकता है, लेकिन अफसोस ऐसा नहीं किया है, और उस के साथ जाहिरा तौर पर धोखाधड़ी के संदेह मंडित पिछले दौर दौरान Mülheimer खिलाड़ियों द्वारा उठाया. श्री बिन्द्रिच द्वारा बनाई गई है, विशेष रूप से गोपनीयता के आक्रमण के बारे में कहते हैं, समझ नहीं कर रहे हैं, के बाद से ही आवश्यक है करने के लिए जाँच करें कि क्या अपने मोबाइल फोन पर बंद किया गया था और क्या वहाँ एक शतरंज डेटाबेस के लिए एक कनेक्शन के साथ इंजन चल रहा था. अंत में, श्री बिन्द्रिच न केवल खुद को नुकसान का एक बड़ा सौदा का कारण बना है, लेकिन यह भी अपने क्लब के लिए, Bundesliga और एक खेल के रूप में शतरंज शतरंज. मैं उल्लेख करना होगा कि घटना के समय मैं एक लग रहा है कि युवा जीएम पूरी तरह से अपने कार्यों के परिणाम के बारे में पता नहीं था. हम Falko बिन्द्रिच द्वारा एक भी lengthier बयान से excepts बिना इस लंबी रिपोर्ट नहीं समाप्त कर सकते हैं. इसे फिर से जर्मन में है, लेकिन पूर्ण में गूगल अनुवाद सेवा का उपयोग गैर - जर्मन वक्ताओं के द्वारा पढ़ा जा सकता है. Mulheim के खिलाफ शनिवार को मैं रूसी ग्रैंडमास्टर Tregubov (2601) का सामना करना पड़ा. पूर्व यूरोपीय चैंपियन के खिलाफ मैं Mulheim के तीन अन्य खिलाड़ियों के साथ तैयार किया था. खेल के रूप में योजना बनाई गई. तीन हफ्ते पहले शीर्ष स्विस लीग में, मैं वास्तव में बोर्ड पर जीएम Istratescu (2650) के खिलाफ एक ही बदलाव किया था. दुर्भाग्य से मैं समय पर चाल का सही अनुक्रम उलझन और आकर्षित करने के लिए आयोजित किया गया था. है कि खेल के बाद के विश्लेषण में मैं पहले ऑस्ट्रियाई Bundesliga, जिस पर मैं उपस्थित था और जो व्हाइट आश्चर्य की बात आसानी से जीता से Jobava Kunin याद आ गया. तो मैं इस खेल बिल्कुल दोहराया, अप करने के लिए 20 के बारे में स्थानांतरित करने के लिए विनिमय बलिदान bxa5, जो मैं पहले से ही घर पर विश्लेषण किया था. लाभ पाने के बाद मैं बेहतर खेलने के लिए नहीं था, कुछ है कि हर शतरंज खिलाड़ी खेल replaying द्वारा देखेंगे. फिर भी मैं एक अच्छी स्थिति के बाद समय मुसीबत खेल जीता. बाद में पावेल Tregubov हिला हाथ बहुत नाराज देखा झिझक. रविवार को मैं सेबस्टियन Siebrecht खेला. एक घंटे के बाद मैं दूसरी बार (यह रविवार की सुबह थी, और मुझे लगता है कि यह सामान्य है नाश्ते के बाद शौचालय जाने के लिए?) के लिए शौचालय का दौरा किया. दावा है कि मैं उठ गया, जबकि मैं शौचालय जाने के लिए कदम पर था केवल गलत है. से अधिक मेरे शतरंज 15 साल के कैरियर के दौरान मैं यह कभी नहीं किया है. अगर अपने प्रतिद्वंद्वी एक कदम बनाता है, जबकि मैं शौचालय में हूँ, यह तार्किक कदम होगा. यह शतरंज के हर खेल में होता है जब खिलाड़ियों को बोर्ड पर हर समय रहने के अलावा,. इसके अलावा, मैं निश्चित रूप से केवल एक खिलाड़ी है जो शनिवार को छह घंटे की अवधि के दौरान चार बार और रविवार को खेलने के एक घंटे के भीतर शौचालय दो बार दौरा किया नहीं था. मैं खेल के दौरान तीन बार मिला: खेल की शुरुआत करने के लिए शौचालय में जाने के बाद शीघ्र ही पहली बार, दूसरी बार अपने आप को पीने के लिए कुछ पाने के लिए, और नौ कदम के बाद तीसरी बार. क्यों मैं निरीक्षण के लिए किया गया था बाहर उठाया, मैं अग्रणी शौचालय दर्शक था? मैं एक बार फिर स्पष्ट है कि मैं सेल फोन के जरिए धोखाधड़ी की वजह से रेफरी द्वारा निरर्हित नहीं चाहते हैं, लेकिन मेरे इनकार की वजह से उसे अपने सेल फोन का निरीक्षण करने की अनुमति देने के लिए. इस के लिए कारणों जटिल हैं. और सबसे पहले, मैं यह मेरी गोपनीयता का एक सीधा आक्रमण के रूप में देखते हैं. मैं किसी को भी अनुमति दे सकते हैं. वास्तव में किसी को भी, अपने मोबाइल फोन के उपयोग. उस पर मैं, मेरी निजी डेटा (बहुत निजी तस्वीरों और संदेशों) भी संवेदनशील व्यापार डेटा से अलग है. मैं इस की रक्षा की आवश्यकता है. डेटा विमोचन मुझे मेरे काम और महत्वपूर्ण संबंधों लागत आएगी. मैं यह जोखिम नहीं कर सकता. यह सच है कि मैं, के रूप में भी कई अन्य शतरंज खिलाड़ी, एक शतरंज app अपने फोन पर संग्रहीत Tregubov के खिलाफ अपने खेल के बाद खेल के विश्लेषण, जो मैं होटल के कमरे में खेल के बाद शनिवार की रात को आयोजित सहित,. मेरी जानकारी के लिए एक एक सेल फोन ले जाना चाहिए, यह बंद है, जो इस मामले में यह हमेशा था प्रदान की है. संयोग से, एक मानवीय दृष्टिकोण से, अब तक हम कैसे आ गए? पीछा और जासूसी शौचालय पर eavesdropping. रेफरी अपने मल त्याग के लिए बात सुनी, और सेबस्टियन Siebrecht भी शौचालय के फर्श पर लेट गया. कौन इस फैशन में चलाने के लिए एक प्रतियोगिता में हो सकता है या इस तरह के एक दृष्टिकोण के साथ एक प्रतिद्वंद्वी के खिलाफ खेलने के लिए चाहता है? हम अपने आप से पूछना है, जहां यह शुरू नहीं करता है, जहां यह बंद नहीं करता है? पहले हम जेब, जैकेट, सामान खोज. रेफरी खिलाड़ियों को सुनने जबकि वे defecating रहे हैं, खिलाड़ियों शौचालय मंजिल पर नीचे झूठ. आगे क्या है? खोजों पट्टी? सौभाग्य से, मानव और नागरिक अधिकारों हमें हमारे जीवन के दौरान सबसे अधिक के साथ, लेकिन शतरंज में हम उन्हें छोड़ देना चाहिए? यह नया नियम एक मौका के साथ जांच करने के लिए और किसी भी यादृच्छिक खिलाड़ी परेशान हैं और किसी भी दो बार इस तरह के कार्यों के लिए "उचित संदेह" के रूप में शौचालय यात्रा की घोषणा पैरोकार प्रदान करेगा! Tregubov के खिलाफ बिन्द्रिच जीत हमारे endgame विशेषज्ञ डॉ. 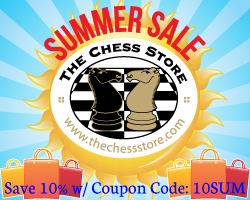 कर्स्टन मुलर द्वारा एनोटेट में ChessBase पत्रिका में अपने स्तंभ के भाग के रूप में किया गया है. इस खोलने के बारे में और अधिक जानें! 1.  f3 c5 2.c4  3 C6 . C3 e5 4.g3 5 g6.  g2  g7 6.a3  ge7 0-0 7.0-0 8.d3 d6 9.  b1 10 a5  d2 h6. 11  e1  e6 12.  c2 13.cxd5 d5  xd5 14.  e3  de7 15.  a4 cxb4 17.axb4 16.b4 B6 18 B5.  c5  19.bxa5 20 xb1   xb1 a2  21 a7  xb5  22 d4.  B6  23 C8 xd8 . xe2  24 +.   h1 25 xd8 . c4  26 d4.  b1  f8 27 B7 . e8 28 .  f6 29 e3 F4.  a6 30.fxe5 31 fxe5. d5  +  H7 32.g4  33 c2 d2  E7 34 .  e4  35 जी -8 और B6   xb6 36.axb6  b4 37  bd6  38 B8. xb4   xb4 39.b7  f6 40 xe5 .  xe4 41.dxe4 d8 42 . ec4   g7 43.e5  44 C6  g2  45 f8.  f3 E7 46  . e4  e6 47 B5 .  d1 दुर्भाग्य से इस खेल पर एक छाया डाली है Falko बिन्द्रिच शुरूआती चरण में एक स्मार्ट फोन का उपयोग करके के साथ धोखाधड़ी का आरोप लगाया. एक विरोध Mühlheim द्वारा दर्ज किया गया है. हालांकि, endgames में है बिन्द्रिच संयोजन निश्चित रूप से हमारे ध्यान के योग्य है: 48  a5.  e1 49 . D3  B8 50.  C6 व्हाइट संयोजन का असली मुद्दा. Tregubov अब विनिमय लौटने के क्रम में है बिन्द्रिच ख मोहरा को रोकने के के लिए करना चाहिए. 50 . D4 +?  d7! यह खराब होगा. 53 xd4  + xe5 54   C3 +. 53 ...  B8 54  e3 d5 55  . D4  56 c5.  f3 B6 57 .  e5 xb7 58   xg6  59 C6. E7  + d7  60  f5 61 e6 . xh6  f6 62   F4 +.
. 55 ... 56 hxg4 + xg4  d5 57   g5  58 C6  xg6  xb5 59.h5  B6 60.h6  xb7 61.h7 +. 61 ...  62 d8  F7 +. 62  e5 + +. 27.10.2012 - На самом деле в качестве обвиняемого игрока, немецкие GM Фалько Bindrich, указывает: не проверенные использования, но за отказ позволить арбитра для рассмотрения телефон у него был с ним в течение нескольких посещений туалета во время круглого бундеслиги в конце прошлой недели. Правила позволяют арбитру, чтобы проверить в случае обоснованного подозрения, и так Bindrich был дисквалифицирован и точка присуждена его противнику. Длинные, заставляя читать. Во время партии игроки могут не иметь доступа на мобильные телефоны, компьютеры и другие электронные устройства, без ведома арбитра. Если есть обоснованные подозрения, что такие устройства используются, по просьбе арбитра игроки обязаны Swich на устройства для проверки. Кроме того, в случае обоснованного подозрения, что такие устройства используются игроки обязаны разрешать арбитра, чтобы изучить их одежды, сумки или другие предметы багажа. Если игрок не выполняет эти обязательства, арбитр может принять меры, предусмотренные в разделе 8.1 правил турнира. Раздел 8.1 определяет, какие меры арбитр может реализовать: замечание, предупреждение, осуждение, штрафное время, отмена результатов и заказе игры должен быть переигран, оценивая игру, как потеря для нарушившего игрока, исключая его из текущего раунда, заказ его покинуть игровой зал или зал. Несколько штрафы могут быть наложены. Следует отметить, что в июне, во время немецкого чемпионата, FM Кристоф Natsidis был пойман использовании смартфона в туалет во время его финальном раунде игры против Себастьяна Siebrecht (который, кажется, привлекает противников с мошенничеством устройств). Арбитр обнаружил шахматная программа работает на телефоне, да и программа показывает положение только до конца игру против Siebrecht, когда арбитр осмотрел его. Natsidis признался в содеянном и был исключен из турнира. "Я прошу прощения", сказал он, "это было совершенно глупо с моей стороны, чтобы сделать это". Действительно, это было, так как он завершил нормой IM перед началом финального раунда (хотя, надо полагать, вероятно, не без помощи электронных). Natsidis был запрещен турнира немецкая шахматная федерация в течение двух лет. Во время правления семь игровых Bindrich-Трегубов ко мне подошел последним, сопровождается GM Даниэль Фридман и И. М. Даниэль Hausrath (принимающего клуба Mühlheim). Трегубов отметил, что его противник не было уже в течение достаточно долгого времени и не может быть найдено. Я направился к туалетам и столкнулся Фалько Bindrich возвращения к доске. Я обещал держать глаза на Bindrich и принимать активные меры, если были частые затяжные посещения туалета. Он пошел в туалет два раза, в 24:30 и в 15:30 вечера, и использовать флеш, когда он был в кабине. Я решил против любых немедленных действий. В воскресенье, в 10:00 Фалько Bindrich играл на борт семь против Себастьяна Siebrecht. Вскоре после начала игры я увидел, что Фалько Bindrich исчезают в туалете в первый раз. Я стала подозрительной. Вскоре после 10:30 он ушел снова, и через пятнадцать минут снова. Это было слишком много для меня, и я последовал за ним в туалет. Себастьян Siebrecht, тоже заметили что-то странное поведение Фалько Bindrich. Он догнал меня, прежде чем мы добрались до туалета, и у нас была краткая беседа, в ходе которой я сказал ему, что я намерен провести кармана чек. Я спросил Себастьян Siebrecht оставить пространство в передней части туалета, так что я мог противостоять Фалько Bindrich в одиночку. Когда Фалько Bindrich вышел из туалета я перед ним с подозрением обмана. Я сказал ему, что в соответствии с правилами я имел право проверить карманы и попросил его показать мне их содержание. Он был возмущен и отказался. Он сказал, что его мобильный телефон был в кармане брюк. Я попросил его передать по телефону, для меня рассмотреть. Об этом он отказался, сказав: "Я сумасшедший" Я столкнулся Фалько Bindrich в буфете снова с подозрениями и читать ему раздел 5.3.4 в бундеслиге правил. Он сказал, что мобильный телефон с шахматной программой на него, но что это, содержащихся старых игр, в том числе и в предыдущий день, с его анализом. Я сообщил ему, что его отказ показать мне свой мобильный телефон приведет к немедленной потере текущей игре, так как я был бы вынужден предположить, что он был использовать телефон для незаконных целей. Я предлагаю ему, что если текущая игра не хранятся на устройстве, он может продолжать играть, если он передал трубку к его капитаном команды. Но Фалько Bindrich продолжал категорически отказываются. Его капитан Ганс Dekan также пытался убедить его, но он отказался передать по телефону. У меня не было другого выбора, кроме как прекратить игру и награда пункт Себастьян Siebrecht. Я считаю, что отказ в выдаче по мобильному телефону ясным доказательством того, что она была использована незаконно, и, кроме того, отказ был против правил событие. Я хотел бы отметить, что капитан команды Eppingen принял это решение без обсуждения, а затем извинился перед Себастьян Siebrecht и капитан команды Katernberg за поведение своих игроков. Г-н Bindrich могли способствовать выяснению обстоятельств, но к сожалению не сделал этого, и вместе с тем по-видимому подтвердил подозрения в мошенничестве поднятые игроками Mülheimer в ходе предыдущего раунда. Точки выступил г-н Bindrich, особенно в отношении вторжения в частную жизнь, не понятно, так как это было необходимо лишь проверить, является ли его мобильный телефон был включен и был ли двигатель работает с подключением к шахматам базы данных. В конце концов, г-н Bindrich вызвала большой ущерб не только себе, но и в свой клуб, шахматы и шахматные Бундеслига как вид спорта. Я должен отметить, что во время инцидента у меня было ощущение, что молодые GM не был полностью осведомлен о последствиях своих действий. Мы не можем закончить этот длинный отчет, не исключает из даже длительный заявление Фалько Bindrich. Опять же, на немецком языке, но можно прочитать в полном объеме, не говорящих по-немецки с помощью службы Google Translate. В субботу против Мюльхайм я столкнулся с русским гроссмейстером Трегубов (2601). Против бывшего чемпиона Европы я подготовил вместе с тремя другими игроками Мюльхайм. Игра пошла, как планировалось. Три недели назад, в верхней швейцарской лиге, у меня были точно такие же изменения в отношении GM Истратеску (2650) на борту. К сожалению, в то время я путать правильную последовательность движений и был проведен на ничью. В последующий анализ этой игры я вспомнил Джобава-Кунин от первой австрийской бундеслиге, на которой я присутствовал и в котором белые выиграли с удивительной легкостью. Так я повторил эту игру точно, вплоть до перемещения 20, включая обмен жертву bxa5, который я уже проанализировал дома. После получения преимуществ я не играл оптимально, то, что каждый шахматист увидите на воспроизведение в игре. 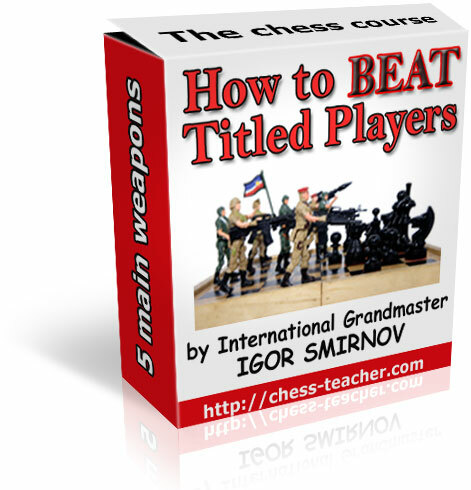 Тем не менее я получил хорошую позицию после цейтнота выиграли игру. После этого Павел Трегубов колебался, чтобы пожать руку выглядел очень обиделся. В воскресенье я играл Sebastian Siebrecht. Через час я был в туалете во второй раз (это было в воскресенье утром, и я думаю, что это нормально, чтобы сходить в туалет после завтрака?!). Утверждение, что я встал, когда я был на ходу, чтобы сходить в туалет просто неправильно. Во время моего более чем 15-летнюю шахматную карьеру я никогда не делал этого. Если мой противник делает ход, пока я в туалет, было бы логично свой ход. Это происходит в каждой игре в шахматы, кроме случаев, когда игроки остаются на доске все время. Кроме того, я, конечно, не единственный игрок, который в субботу, в течение шести часов, посетил туалет в четыре раза, а в воскресенье в два раза в течение часа игры. Я встал в три раза во время игры: в первый раз вскоре после начала игры, чтобы сходить в туалет, второй раз, чтобы получить себе что-нибудь выпить, и в третий раз после переезда девять. Почему я выбрал для осмотра, я был ведущим туалет-ходок? Я хочу еще раз уточнить, что я не был дисквалифицирован рефери из-за ячейки мошенничество телефон, но из-за моего отказа, чтобы позволить ему осмотреть мой мобильный телефон. Причины этого комплекса. В первую очередь, я вижу это как прямое вторжение в мою личную жизнь. Я могу позволить никому. действительно никого, доступ к моему мобильному телефону. На это у меня есть, кроме моих личных данных (очень частные фотографии и сообщения) также бизнес-данных. Мне нужно, чтобы защитить это. Выпуск данных будет стоить мне моя работа и важные отношения. Я не мог рисковать. Это правда, что у меня есть, как и многие другие шахматисты тоже, шахматы приложения, хранящиеся на телефоне, в том числе последующего анализа игрой моей игре против Трегубов, который я провел в ночь на субботу после игры в гостиничном номере. Насколько мне известно, надо нести сотовый телефон, если он выключен, который в данном случае это всегда было. Кстати, с человеческой точки зрения, как далеко мы продвинулись? Преследование и шпионажа, подслушивания на унитазе. Судья слушал мои испражнения, и Себастьян Siebrecht даже лег на пол туалета. Кто хочет быть в конкурсе работать в этом моде или играть против оппонента с таким отношением? Мы должны спросить себя, где она начинается, где она остановится? Сначала мы искать в карманы, куртки, багажа. Судьи слушают игроков, когда они испражняются, игроки лечь на пол туалета. Что дальше? Обыски с раздеванием? К счастью, человеческих и гражданских прав сопровождают нас на протяжении большей части нашей жизни, но в шахматах мы должны отказаться от них? Это новое правило будет обеспечивать арбитров, возможен расследовать и преследовать любого случайного игрока и объявить любые двух-туалет время визита как "разумное подозрение" для таких действий! Bindrich победу над Трегубов был аннотированный нашей эндшпиль эксперт д-р Карстен Мюллер, как часть своей колонке в журнале ChessBase. Узнайте больше об этом открытии! 1.  f3 c5 2.c4 c6 3 .  c3 e5 4.g3 g6 5.  g2  g7 6.a3  ge7 7.0-0 0-0 8.d3 d6 9.  b1 a5 10.  d2 h6 11.  e1  e6 12.  c2 d5 13.cxd5  xd5 14.  e3  de7 15.  a4 b6 16.b4 cxb4 17.axb4 b5 18.  c5  a2 19.bxa5  xb1 20.  xb1  a7 21.  xb5  d4 22.  b6  c8 23.  xd8  xe2 + 24.  h1  xd8 25.  c4  d4 26.  b1  f8 27.  b7  e8 28.  e3 f6 29 . f4  a6 30.fxe5 fxe5 31.  d5 +  h7 32.g4  c2 33.  d2  e7 34.  e4  g8 35.  b6  xb6 36.axb6  b4 37.  Bd6  b8 38.  xb4  xb4 39.b7  f6 40.  xe5  xe4 41.dxe4  d8 42.  ec4  g7 43.e5  c6 44.  g2  f8 45.  f3  e7 46.  e4 e6 47  .  b5  d1 К сожалению, тень была брошена на эту игру, с Фалько Bindrich обвиняемого в мошенничестве с использованием смарт-телефонов в фазе открывания. Акция протеста была подана Mühlheim. Тем не менее, сочетание Bindrich в эндшпиль, безусловно, заслуживает нашего внимания: 48  a5.!  e1 + 49.  d3  b8 50.  c6! Реальной точкой сочетание белых. Трегубов должны вернуться обмена для того, чтобы остановить Bindrich B-пешки. 50.  d4 +?  d7! испортят его. 27.10.2012 - En fait, comme le joueur accusé, allemande GM Falko Bindrich, souligne: ne pas utiliser ses preuves, mais pour avoir refusé de permettre à l'arbitre d'examiner le téléphone qu'il a eue avec lui lors de visites aux toilettes pendant plusieurs rondes week-end dernier en Bundesliga. Les règles permettent de vérifier l'arbitre en cas de soupçon justifié, et ainsi de Bindrich a été disqualifié et le point attribué à son adversaire. Long, lecture convaincante. 1. c4 e5 2. Nc3 Cf6 3. Cf3 Cc6 4. a3 e4 5. Cg5 De7 6. e3 h6 7. Nh3 g5 8. 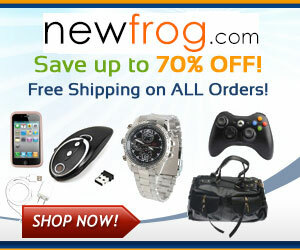 Qc2 Fg7 9. Ng1 0-0 10. Nge2 1-0. Au cours d'un jeu de course les joueurs ne peuvent pas avoir accès à des téléphones mobiles, ordinateurs ou autres dispositifs électroniques, sans l'autorisation expresse de l'arbitre. S'il existe un soupçon raisonnable que de tels dispositifs sont utilisés, à la demande de l'arbitre, les joueurs sont obligés de mettre en route les appareils d'inspection. En outre, en cas de suspicion raisonnable que de tels dispositifs sont utilisés, les joueurs sont tenus d'autoriser l'arbitre d'examiner leurs vêtements, sacs ou autres articles de bagagerie. Si un joueur ne respecte pas ces obligations, l'arbitre peut prendre les mesures prévues à l'article 8.1 des règles du tournoi. L'article 8.1 précise qui mesure l'arbitre peut mettre en œuvre: mise en garde, avertissement, blâme, amende moment, l'annulation du résultat et commander le jeu à rejouer, d'évaluer le jeu comme une perte pour le joueur fautif, l'excluant du cycle actuel, la commande à quitter la salle de jeu, ou l'auditorium. Plusieurs pénalités peuvent être imposées. Il convient de mentionner que, dans Juin, lors du championnat allemand, Christoph FM Natsidis été capturés à l'aide d'un smartphone dans les toilettes au cours de sa ronde finale match contre Sébastien Siebrecht (qui semble attirer les adversaires avec des dispositifs de tricherie). L'arbitre avait trouvé un programme d'échecs s'exécutant sur le téléphone, et même le programme a été montrant une position juste avant la fin du match contre Siebrecht lorsque l'arbitre l'a examiné. Natsidis admis à l'acte et a été expulsé du tournoi. "Je suis désolé", at-il dit, "il a été complètement stupide de ma part de le faire." En effet, il était, depuis qu'il avait achevé une norme de MI avant le début de la phase finale (bien que, il faut supposer, sans doute pas sans aide électronique). 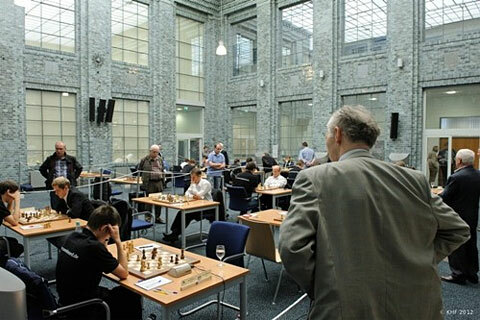 Natsidis a été interdit de tournoi par la Fédération Internationale des Echecs allemand pour une période de deux ans. Au cours de la conseil de sept jeu Bindrich-Tregubov j'ai été approché par celui-ci, accompagné de Daniel Fridman GM et IM Daniel Hausrath (du club hôte Mühlheim). Tregubov a souligné que son adversaire avait été absent pendant un certain temps et n'a pu être trouvée. Je me dirigeais vers les toilettes et a rencontré Falko Bindrich retour à la carte. J'ai promis de garder un oeil sur Bindrich et prendre des mesures actives s'il y avait de fréquentes visites aux toilettes prolongées. Il est allé à deux fois plus de toilettes, à 24:30 et à 15:30 h, et utilisé la chasse d'eau alors qu'il se trouvait dans la cabine. J'ai décidé contre toute action immédiate. Le dimanche, à 10h00 Falko Bindrich jouait à bord sept contre Sebastian Siebrecht. Peu de temps après le début du jeu, j'ai vu que Falko Bindrich disparaître dans les toilettes pour la première fois. Je suis devenu méfiant. Peu après 10h30, il était reparti, et à quinze minutes encore. C'en était trop pour moi et je l'ai suivi à la toilette. Sebastian Siebrecht, lui aussi, avait remarqué quelque chose de bizarre sur le comportement de Falko Bindrich. Il me rattrapa juste avant d'arriver à la toilette, et nous avons eu une brève conversation, au cours de laquelle je lui ai dit que j'ai l'intention de procéder à une vérification de poche. J'ai demandé à Sebastian Siebrecht quitter l'espace devant la toilette, pour que je puisse affronter Falko Bindrich seul. Lorsque Falko Bindrich est sorti de la toilette je l'ai confronté avec le soupçon de tromperie. Je lui ai dit que, selon les règles, j'ai eu le droit de vérifier ses poches et lui ai demandé de me montrer leur contenu. Il était indigné et a refusé. Il a dit que son téléphone portable était dans sa poche de pantalon. Je lui ai demandé de remettre le téléphone pour m'examiner. Ce qu'il a refusé, en disant: «Suis-je fou" J'ai confronté Falko Bindrich à la buvette de nouveau avec les soupçons et lui lisait l'article 5.3.4 des règlements de la Bundesliga. Il a dit qu'il avait un téléphone portable avec un programme d'échecs sur elle, mais que ces jeux anciens contenus, y compris celui de la veille, avec ses analyses. Je l'ai informé que son refus de me montrer son téléphone mobile conduirait à une perte immédiate de la partie en cours, car je serais obligé de supposer qu'il avait été l'utilisation du téléphone à des fins illégales. Je lui signale que si le jeu actuel n'a pas été stockée sur l'appareil, il pourrait continuer à jouer, s'il passe le téléphone au cours de son capitaine d'équipe. Mais Falko Bindrich continué à refuser catégoriquement. Son capitaine Hans Dekan a aussi essayé de le convaincre, mais il a refusé de remettre le téléphone. Je n'avais pas d'autre choix que de mettre fin au jeu et donner le point à Sebastian Siebrecht. Je considère que le refus de remettre la preuve téléphone mobile clair qu'il avait été utilisé illégalement, et en outre le refus était contraire aux règles de l'événement. Je tiens à mentionner que le capitaine de l'équipe de Eppingen accepté cette décision sans discussion et par la suite présenté ses excuses à Sebastian Siebrecht et le capitaine de l'équipe de Katernberg pour le comportement de son joueur. M. Bindrich pourrait avoir contribué à la clarification de la situation, mais n'ont malheureusement pas le faire, et avec qui, apparemment, ont corroboré les soupçons de fraude soulevées par les joueurs Mülheimer lors de la ronde précédente. Les points soulevés par M. Bindrich, en particulier en ce qui concerne l'invasion de la vie privée, ne sont pas compréhensibles, car on était seulement nécessaire de vérifier si son téléphone portable était allumé et s'il y avait un moteur fonctionnant avec une connexion à une base de données d'échecs. En fin de compte, M. Bindrich a causé beaucoup de dégâts, non seulement pour lui mais aussi pour son club, le Chess Bundesliga et les échecs comme un sport. Je dois mentionner que, au moment de l'incident, j'ai eu le sentiment que le jeune GM n'était pas pleinement conscient des conséquences de ses actes. Nous ne pouvons terminer ce long rapport sans soustrait à l'une déclaration encore plus longue par Falko Bindrich. Encore une fois, il est en allemand, mais peut être lu dans le plein par des non-allemands enceintes à l'aide du service Google Translate. Le samedi contre Mülheim j'ai fait face à la Russie Tregubov grand maître (2601). Contre l'ancien champion européen j'avais préparé avec trois autres joueurs de Mülheim. Le match s'est déroulé comme prévu. Trois semaines plus tôt, dans la ligue supérieure suisse, j'avais eu exactement la même variation Istratescu contre GM (2650) sur la carte. Malheureusement, au moment où j'ai confondu la bonne séquence de mouvements et a eu lieu à un tirage au sort. Dans une analyse ultérieure de ce jeu je me suis souvenu Jobava-Kunin de la Première Bundesliga autrichienne, à laquelle j'ai assisté et où Blancs ont gagné avec une facilité surprenante. Donc, je répète ce jeu exactement, jusqu'à environ déplacer 20, y compris l'échange bxa5 sacrifice, que j'avais déjà analysé à la maison. Après avoir obtenu un avantage que je n'ai pas jouer de façon optimale, quelque chose que chaque joueur d'échecs verrez en rejouant le jeu. Néanmoins j'ai eu une bonne position après la peine le temps gagné la partie. Ensuite Pavel Tregubov hésité à serrer la main de l'air très offensé. Le dimanche, j'ai joué Sebastian Siebrecht. Après une heure, j'ai visité les toilettes pour la deuxième fois (c'était le dimanche matin, et je pense qu'il est normal d'aller aux toilettes après le petit déjeuner!). L'affirmation selon laquelle je suis arrivé pendant que j'étais sur la route pour aller à la toilette est tout simplement fausse. Au cours de ma carrière d'échecs de plus de 15 ans, je n'ai jamais fait cela. Si mon adversaire joue un coup pendant que je suis dans les toilettes, il serait logiquement mon déménagement. Ce qui se passe dans chaque jeu d'échecs, sauf lorsque les joueurs restent au bord tout le temps. De plus, je n'étais certainement pas le seul joueur qui, le samedi, au cours d'une période de six heures, a visité les toilettes quatre fois, et deux fois le dimanche à une heure de jeu. Je me suis levé à trois reprises au cours du jeu: la première fois peu de temps après le début du jeu pour aller aux toilettes, la seconde fois de me faire quelque chose à boire, et la troisième fois après le déménagement de neuf ans. Pourquoi ai-je été choisi pour inspection, j'étais le leader de toilette spectateur? Je tiens à préciser encore une fois que je n'ai pas été disqualifié par l'arbitre en raison de la fraude par téléphone cellulaire, mais en raison de mon refus de lui permettre d'inspecter mon téléphone portable. Les raisons en sont complexes. Tout d'abord, je le vois comme une invasion directe de ma vie privée. Je ne peux permettre à personne. vraiment quelqu'un, l'accès à mon téléphone portable. Sur ce que j'ai, en dehors de mes données personnelles (photos très privées et messages) également des données sensibles de l'entreprise. J'ai besoin de le protéger. Libérer les données me coûterait mon travail et des relations importantes. Je ne pouvais pas risquer cela. Il est vrai que j'ai, comme beaucoup d'autres joueurs d'échecs aussi, une application échecs enregistrés sur mon téléphone, y compris une analyse d'après match de mon match contre Tregubov, que j'ai réalisé le samedi soir après le match dans la chambre d'hôtel. A ma connaissance, il faut avoir un téléphone cellulaire, à condition qu'il soit éteint, qui, dans ce cas, il a toujours été. Par ailleurs, du point de vue humain, où en sommes-nous arrivés? Traquer et d'espionnage, espionnage sur les toilettes. L'arbitre écouté pour ma selle, et Sebastian Siebrecht même s'allonger sur le sol des toilettes. Qui veut être dans une compétition organisée de cette façon ou de jouer contre un adversaire avec une telle attitude? Nous devons nous demander où ça commence, où ça s'arrête? Nous avons d'abord chercher les poches, vestes, bagages. Arbitres écouter les joueurs pendant qu'ils défèquent, les joueurs se couchent sur le sol des toilettes. Quelle est la prochaine? Fouilles à nu? Heureusement, les droits humains et civils nous accompagner pendant la majeure partie de nos vies, mais dans les échecs que nous devrions les abandonner? Cette nouvelle règle permettra arbitres avec une chance d'étudier et de harceler un joueur au hasard et de déclarer toute visite de toilette deux fois comme «soupçon raisonnable» pour de telles actions! 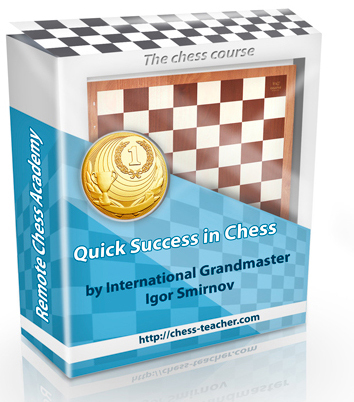 Bindrich victoire contre Tregubov a été annoté par notre expert Dr Müller endgame Karsten, dans le cadre de sa chronique dans le magazine ChessBase. En savoir plus sur cette ouverture! 1.   2.c4 c5 f3 c6 3.  c3 e5 4.g3 g6 5.  g2  g7 6.a3  GE7 7,0 à 0 0-0 8.d3 d6 9.  b1 a5 10.  d2 h6 11.  e1  e6 12.   c2 d5 13.cxd5 XD5 14.   e3 DE7 15.  a4 b6 b5 16.b4 cxb4 17.axb4 18.  c5  a2 19.bxa5  xB1 20.  xB1  a7 21.  XB5  d4 22.  b6  c8 23.  xd8  xe2 + 24.  h1  xd8 25.  c4  d4 26.  b1  f8 27.  b7  e8 28.  e3 f6 29 . f4  a6 30.fxe5 fxe5 31.  d5 +  h7 32.g4  c2 33.  d2  e7 34.  e4  g8 35.   b6 XB6 36.axb6  37 b4.   BD6 b8 38.  XB4   XB4 39.b7 f6 40.   xe5 XE4 41.dxe4  d8 42.  EC4  g7 43.e5  c6 44.  g2  f8 45.  f3 e7  46.  e4 e6  47 .   b5 d1 Malheureusement, une ombre a été jetée sur ce jeu, avec Falko Bindrich accusé de tricherie à l'aide d'un téléphone intelligent dans la phase d'ouverture. Une protestation a été déposée par Mühlheim. Cependant, la combinaison Bindrich dans le phases finales est certainement digne de notre attention: 48 a5 .!  e1 + 49.  d3  b8 50.  c6! Le vrai point de combinaison White. Tregubov doivent maintenant retourner à l'échange afin d'arrêter Bindrich de b-pion. 50.  d4 +?  d7! serait gâcher. 27.10.2012 - Eigentlich, wie der Angeklagte Player weist deutschen GM Falko Bindrich, out: nicht für bewährte Einsatz, sondern für die Verweigerung, damit der Schiedsrichter das Telefon er bei sich hatte während mehrerer WC Besuche während am vergangenen Wochenende in der Bundesliga Runde zu untersuchen. Die Regeln erlauben die Schiedsrichter, um im Falle eines begründeten Verdachts zu überprüfen, und so Bindrich wurde disqualifiziert und der Punkt geht an seinen Gegner. Long, überzeugende Lektüre. Ein. c4 e5 2. Nc3 Sf6 3. Sf3 Sc6 4. a3 e4 5. Ng5 De7 6. e3 h6 7. Nh3 g5 8. Qc2 Lg7 9. Ng1 0-0 10. Nge2 1-0. Während eines laufenden Spiels können die Spieler keinen Zugang zu Mobiltelefonen, Computern oder anderen elektronischen Geräten, ohne ausdrückliche Zustimmung des Schiedsrichters. Wenn der begründete Verdacht besteht, dass solche Geräte, die verwendet werden, auf Antrag des Schiedsrichters die Spieler sind verpflichtet, an den Geräten zur Inspektion swich. Darüber hinaus sind bei begründetem Verdacht, dass solche Geräte, die verwendet werden die Spieler verpflichtet sind, erlauben die Schiedsrichter, um ihre Kleidung, Taschen oder andere Gepäckstücke zu untersuchen. Wenn ein Spieler nicht nachkommt diese Pflichten, kann der Schiedsrichter Maßnahmen nach § 8.1 der Turnierregeln vorgeschrieben. Abschnitt 8.1 gibt an, welche den Schiedsrichter misst können implementieren: Ermahnung, Verwarnung, Tadel, Zeitstrafe, Annullierung des Ergebnisses und der Bestellung das Spiel wiederholt werden, Auswerten das Spiel als Niederlage für den fehlbaren Spieler, ohne ihn aus der aktuellen Runde, Bestellung ihn zu verlassen Spielsaal oder das Auditorium. Mehrere Strafen verhängt werden. Wir sollten das im Juni zu erwähnen, bei der Deutschen Meisterschaft, FM Christoph Natsidis gefangen wurde über ein Smartphone in der Toilette während seiner Endrunde Spiel gegen Sebastian Siebrecht (wer scheint Gegner mit Betrug Geräten zu gewinnen). Der Schiedsrichter hatte ein Schach-Programm auf dem Handy gefunden, und in der Tat wurde das Programm zeigt eine Position kurz vor dem Ende des Spiels gegen Siebrecht, wenn der Schiedsrichter zu prüfen. Natsidis gestand die Tat und wurde aus dem Turnier ausgeschlossen. "Ich entschuldige mich", sagte er, "es war ganz dumm von mir, dies zu tun." Tatsächlich war es, da er eine IM-Norm vor Beginn der Endrunde (obwohl man davon ausgehen muss, wahrscheinlich nicht ohne elektronische Hilfe) abgeschlossen hatte. Natsidis hat sich von Turnier zu spielen wurde von der Deutschen Schachbund für einen Zeitraum von zwei Jahren verboten. Während der Platine sieben Spiel Bindrich-Tregubov wurde ich von der letzteren von GM Daniel Fridman und IM Daniel Hausrath (von der gastgebende Verein Mühlheim) begleitet näherte. Tregubov wies darauf hin, dass sein Gegner hatte seit geraumer Zeit abwesend und konnte nicht gefunden werden. Ich ging auf die Toilette und traf Falko Bindrich Rückkehr an den Vorstand. Ich habe versprochen, ein Auge auf Bindrich halten und aktive Maßnahmen, wenn es häufiger langwierigen WC Besuche. Er ging auf die Toilette noch zwei weitere Male, bei 24:30 und 15:30 Uhr, und verwendet den Flush, während er in der Kabine war. Ich entschied mich gegen jede sofortiges Handeln. Am Sonntag, um 10:00 Uhr Falko Bindrich wurde an Bord sieben Spielen gegen Sebastian Siebrecht. Kurz nach dem Beginn des Spiels sah ich, dass Falko Bindrich in die Toilette zum ersten Mal verschwinden. Ich wurde misstrauisch. Kurz nach 10.30 Uhr war er wieder verschwunden, und 15 Minuten erneut. Das war zu viel für mich und ich folgte ihm auf die Toilette. Sebastian Siebrecht, hatte auch etwas Merkwürdiges über das Verhalten von Falko Bindrich bemerkt. Er holte mich kurz bevor wir die Toilette erreicht, und wir hatten ein kurzes Gespräch, in dem ich ihm sagte, dass ich für die Durchführung einer Tasche anreisen möchten. Ich fragte Sebastian Siebrecht verlassen den Platz vor der Toilette, so konnte ich Falko Bindrich allein zu konfrontieren. Wenn Falko Bindrich kam aus der Toilette Ich konfrontierte ihn mit dem Verdacht der Täuschung. Ich sagte ihm, dass nach den Regeln, die ich das Recht, seine Taschen zu überprüfen hatte und fragte ihn, mir zu zeigen, deren Inhalte. Er war empört und weigerte sich. Er sagte, dass sein Handy in der Hosentasche war. Ich bat ihn, über das Telefon für mich untersuchen zu übergeben. Dieser weigerte er sich und sagte: "Bin ich verrückt" Ich konfrontierte Falko Bindrich im Erfrischungsraum wieder mit den Verdächtigungen und las ihm Abschnitt 5.3.4 der Bundesliga Regeln. Er sagte, er habe ein Handy mit einem Schach-Programm auf, sondern dass diese enthaltenen alte Spiele, darunter auch die vom Vortag, mit seinen Analysen. Ich teilte ihm mit, dass seine Weigerung, mir zu zeigen, sein Handy würde zu einem sofortigen Verlust des aktuellen Spiels führen, da würde ich gezwungen, anzunehmen, er sei mit dem Telefon für illegale Zwecke werden. Ich schlage ihm vor, wenn das aktuelle Spiel wurde nicht auf dem Gerät gespeichert konnte er weiter spielen, wenn er das Telefon übergeben seinem Mannschaftskapitän. Aber Falko Bindrich weiterhin kategorisch ablehnen. Sein Hauptmann Hans Dekan auch versucht, ihn zu überzeugen, aber er weigerte sich, über das Telefon zu übergeben. Ich hatte keine andere Wahl, als das Spiel, und vergibt den Punkt zu Sebastian Siebrecht beenden. Ich halte die Weigerung, mit der Hand über das Handy ein klarer Beweis, dass es war illegal genutzt und darüber hinaus die Weigerung war gegen die Regeln der Veranstaltung. Ich möchte erwähnen, dass der Teamkapitän Eppingen diese Entscheidung akzeptiert, ohne Diskussion und später Sebastian Siebrecht und Mannschaftsführer des Katernberg für das Verhalten seiner Spieler entschuldigt. Mr. Bindrich könnte zur Klärung der Umstände beigetragen haben, aber leider nicht so zu tun, und damit offenbar erhärtet den Verdacht des Betrugs durch Mülheimer Spieler während der Runde zuvor angehoben. Die Punkte von Herrn Bindrich gemacht, insbesondere in Bezug auf Verletzung der Privatsphäre, sind nicht nachvollziehbar, da nur war, ist zu prüfen, ob sein Handy auf und ob es ein Motor läuft mit einer Verbindung zu einem Schach-Datenbank wurde eingeschaltet. Letztlich hat Herr Bindrich einen großen Schaden nicht nur sich selbst verursacht, sondern auch zu seinem Klub, der Schach Bundesliga und Schach als Sport. Ich muss erwähnen, dass zum Zeitpunkt des Vorfalls ich das Gefühl, dass der junge GM war nicht bewusst, die Folgen seines Handelns hatte. Wir können nicht am Ende dieses langen Bericht ohne Ausschnitte aus einer noch längeren Erklärung von Falko Bindrich. Wieder ist es in Deutsch, sondern in der vollen von nicht-deutschen Lautsprecher durch den Google Translate-Dienst gelesen werden. Am Samstag gegen Mülheim ich vor russischen Großmeister Tregubov (2601). Gegen den ehemaligen Europameister hatte ich mit drei anderen Spielern Mülheim vorbereitet. Das Spiel verlief wie geplant. Drei Wochen zuvor, in der höchsten Schweizer Liga, hatte ich genau die gleiche Variante gegen GM Istratescu (2650) auf dem Brett. Leider zur Zeit bin verwirrt die richtige Reihenfolge der Schritte und wurde zu einem Unentschieden gehalten. In anschließenden Analyse dieses Spiels erinnerte ich mich Jobava-Kunin von der First Austrian Bundesliga, bei dem ich anwesend war und in denen Weiß gewann mit überraschender Leichtigkeit. So wiederholte ich dieses Spiel genau, bis zu bewegen 20, einschließlich des Austauschs Opfer bxa5, die ich schon zu Hause analysiert hatte. Nach einen Vorteil habe ich nicht optimal spielen, etwas, dass jeder Schachspieler wird durch die Wiedergabe das Spiel zu sehen. Trotzdem habe ich eine gute Position nach der Zeitnot gewann das Spiel. Danach Pavel Tregubov gezögert, schütteln die Hand sah sehr beleidigt. Am Sonntag spielte ich Sebastian Siebrecht. Nach einer Stunde besuchte ich die Toilette zum zweiten Mal (es war Sonntag Morgen, und ich denke, dass es normal ist, auf die Toilette nach dem Frühstück gehen?!). Die Behauptung, dass ich aufstand, während ich unterwegs, um zur Toilette zu gehen war, ist schlichtweg falsch. Während meiner mehr als 15-jährige Schach-Karriere habe ich noch nie gemacht. Wenn mein Gegner einen Zug, während ich auf der Toilette bin, wäre es logisch meinem Umzug sein. Dies geschieht in jedem Spiel des Schachs, außer wenn Spieler bleiben auf dem Board die ganze Zeit. Auch ich war sicherlich nicht der einzige Spieler, der am Samstag, während eines Zeitraums von sechs Stunden, besuchte die Toilette vier Mal, und am Sonntag zweimal innerhalb einer Stunde zu spielen. Ich habe drei Mal während des Spiels: das erste Mal kurz nach dem Beginn des Spiels auf die Toilette zu gehen, das zweite Mal hole mir etwas zu trinken, und das dritte Mal nach dem Umzug neun. Warum wurde ich abgeholt zur Inspektion, war ich der führenden WC-goer? Ich möchte noch einmal klarstellen, dass ich nicht durch den Schiedsrichter, weil der Handy-Betrug disqualifiziert, sondern wegen meiner Weigerung, ihm zu erlauben, mein Handy zu inspizieren. Die Gründe hierfür sind vielschichtig. In erster Linie sehe ich es als eine direkte Invasion meiner Privatsphäre. Ich kann niemandem gestatten. wirklich jeder, der Zugang zu meinem Handy. Auf ihm habe ich, abgesehen von meiner privaten Daten (sehr privaten Bilder und Nachrichten) auch sensible Geschäftsdaten. Ich muss das schützen. Freigabe der Daten kosten würde mir meinen Job und wichtige Beziehungen. Ich konnte nicht riskieren dies. Es ist wahr, dass ich, wie viele andere Schachspieler auch ein Schach-App auf meinem Handy gespeichert sind, einschließlich einer nach dem Spiel Analyse meiner Partie gegen Tregubov, die ich am Samstagabend durchgeführt nach dem Spiel im Hotelzimmer. Meines Wissens muss man ein Handy tragen, vorausgesetzt, es ist ausgeschaltet, die in diesem Fall war es immer. Übrigens, aus einer menschlichen Perspektive haben, wie weit wir gekommen? Stalking und Spionage, Abhören auf der Toilette. Der Schiedsrichter hörte meinen Stuhlgang und Sebastian Siebrecht selbst legte sich auf die Toilette Boden. Wer will schon in einem Wettbewerb auf diese Weise ausführen zu können oder spielen Sie gegen einen Gegner mit einer solchen Haltung? Wir müssen uns fragen, wo es gestartet wird, wo hört sie auf? Zunächst suchen wir die Taschen, Jacken, Gepäck. Schiedsrichter hören die Spieler, während sie Stuhlgang sind, liegen Spielern auf der Toilette Boden. Was kommt als nächstes? Leibesvisitationen? Glücklicherweise, begleiten Menschen-und Bürgerrechte uns während des größten Teils unseres Lebens, aber im Schach sollten wir sie aufgeben? Diese neue Regelung wird Schiedsrichter mit einer Chance zu untersuchen und zu belästigen zufälligen Spieler und erklären jede two-time WC Besuch als "begründeter Verdacht" für solche Aktionen bieten! 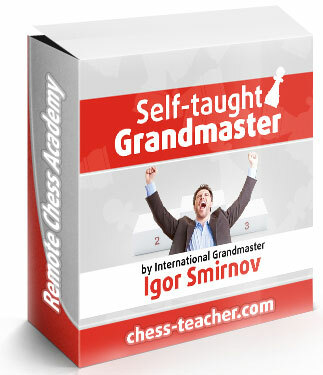 Bindrich Sieg gegen Tregubov wurde kommentiert von unserem Endspiel Experte Dr. Karsten Müller, als Teil seiner Kolumne in ChessBase Magazin. Erfahren Sie mehr über diese Öffnung! 1.  f3 c5 2.c4 c6  3.  c3 e5 4.g3 g6 5.  g2  g7 6.a3  GE7 7,0-0 0-0 8.d3 d6 9.  b1 a5 10.  d2 h6 11.  e1  e6 12.  c2 d5 13.cxd5  xd5 14.  e3  de7 15.  a4 b6 16.b4 cxb4 17.axb4 b5 18.  c5  a2 19.bxa5  xb1 20.  xb1  a7 21.  XB5  d4 22.  b6  c8 23.  xd8  xe2 + 24.  h1  xd8 25.  c4  d4 26.  b1  f8 27.  b7  e8 28.  e3 f6 29 . f4  a6 30.fxe5 fxe5 31.  d5 +  h7 32.g4  c2 33.  d2  e7 34.  e4  g8 35.  b6  XB6 36.axb6  b4 37.  BD6  b8 38.  xb4  xb4 39.b7  f6 40.  xe5  xe4 41.dxe4  d8 42.  EC4  g7 43.e5  c6 44.  g2  f8 45.  f3  e7 46.  e4 e6  47 .  b5  d1 Leider ist ein Schatten über diesem Spiel geworfen worden, mit Falko Bindrich Angeklagten des Betrugs durch ein Smartphone in der Anfangsphase. Ein Protest wurde von Mühlheim eingereicht worden. Allerdings ist Bindrich die Kombination in der Endspiele sicherlich verdient unsere Aufmerksamkeit: 48  a5.!  e1 + 49.  d3  b8 50.  c6! Der eigentliche Punkt der weißen Kombination. Tregubov muss nun wieder den Austausch, um Bindrich den b-Bauern zu stoppen. 50.  d4 +?  d7! würde es verderben.